The second trailer for the upcoming Bennett Miller film, Moneyball, has been released. 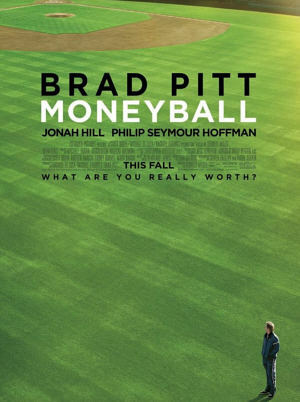 The film stars Brad Pitt as Billy Beane, a Baseball general manager who uses computer technology to help draft players for the team in an attempt to succeed with a slim budget. The film is to be released on on September 23rd, 2011. Movie Plot: The story of Oakland A’s general manager Billy Beane’s successful attempt to put together a baseball club on a budget by employing computer-generated analysis to draft his players. Comments for Second Trailer for “Moneyball” Released are now closed.